Carrowmore in county Sligo is one of Ireland's best tourist attractions, a heritage site of the times of ancient Ireland. What looks like a dolmen surrounded by a stone circle here are actually the remnants of a passage grave. A lot of rocks have been removed over the centuries and used for other building projects. It is Europe’s largest megalithic cemetery. Originally as many as one hundred megalithic tombs were located here. The sheer spread of it is impressive, even if there is little left of most tombs here today it will still give you a great impression of how our Neolithic ancestors imprinted themselves onto the Irish landscape. This is an extraordinary site, one of the biggest and most important Neolithic monuments in Europe and a crown jewel of the heritage of Ireland. In a landscape dominated by the stunning view of Knocknarae mountain, there used to be some 100 Megalithic tombs here of different periods and built in different styles. The word megalithic comes to life when yu see the amount of large rocks used in this place. Don't forget, the works were carried out by a society with tools made only from antlers, bones, wood and stone. They had no machinery to help them move these boulders. Around thirty of those are still intact. 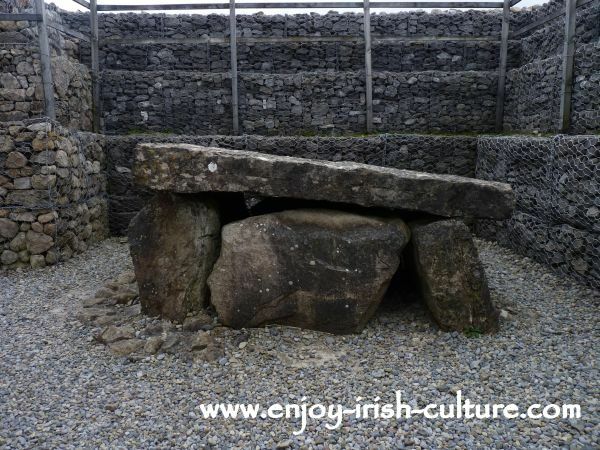 There are dolmens, uncovered passage graves and stone circles, which are actually the remaining kerb stones of dismantled cairns. The site is very atmospheric and in a beautiful setting. Unfortunately, many monuments here were damaged, for example by farmers who used the stones to build field boundary walls, or by tourists who took stones with them. The monuments are quite spread out. The most accessible ones are located on state owned land close enough to the visitor centre. Plan at least an hour and a half for your visit if you are taking the guided tour first and then would like to go exploring on your own afterwards. 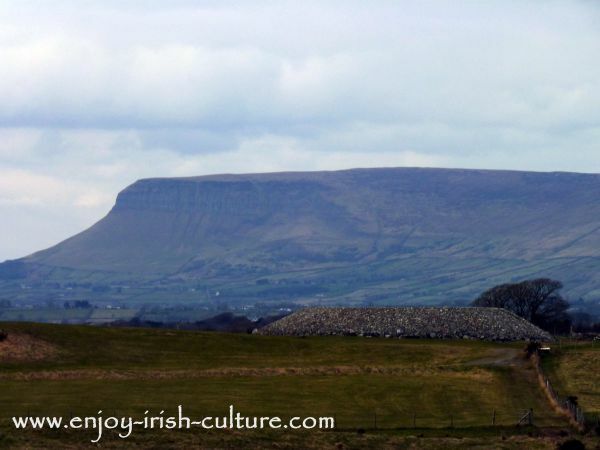 The biggest monument is Listoghil seen above in front of Ben Bulben mountain, which has been fully excavated and reconstructed. Although some say the outcome is rather clinical looking, it does give a good idea of the structure of a passage grave. See the inside of Listoghil on the next two photos below. Definitely go and see this place if you are anywhere nearby! 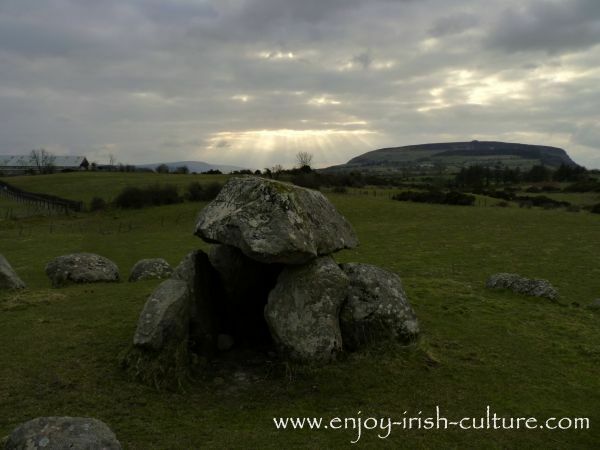 Carrowmore is located only 4km from Sligo town. Approaching Sligo town on the N4 coming from the South, pass through the roundabouts looking for the exit onto the Sligo Inner Relief Road which you will take. Follow the signs for ‘town centre’. At the next traffic lights, turn left onto Church Hill. Keep going straight through Treacy Avenue, Maugheraboy Road and Ballydoogan Road. There will be signs from this point on. 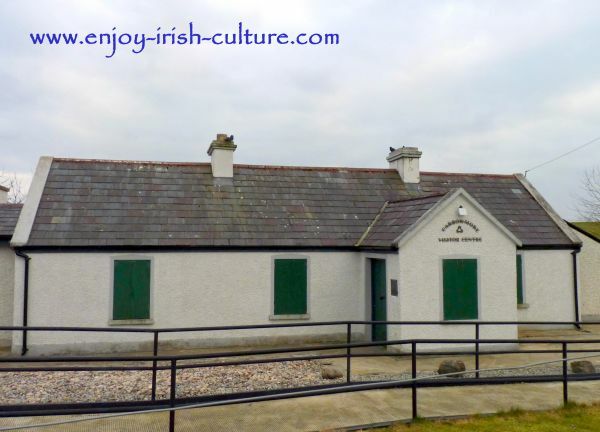 There is a visitor centre housed in a traditional Irish cottage which I recommend you should visit before setting out to explore the sites, see it on he photo below. A visit there will help you understand and appreciate what it is you are looking at, and will help you find your way. Some of the monuments are on State owned land, others are on private land. The visitors centre (Tel. +353 71 9161534) charges 3 Euros for adults with student and child rates available, and there is a guided tour and an audio guide. Opening times are daily between Easter and October from 10 a.m. to 5 p.m. As a national monument, Carrowmore in the care of the Office of Public Works. 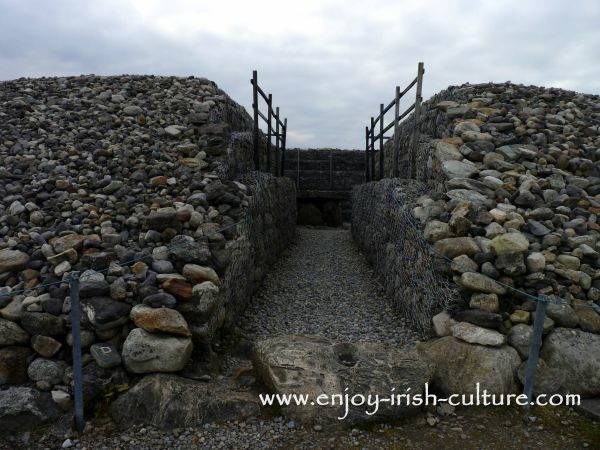 After visiting Carrowmore take a hike up Knocknarae and visit Maeve’s cairn, 55m in diameter and 10m high. There are amazing views to be had as far as Donegal and Mayo. Driving away from here, head west for approximately 1 kilometre, turn right at the junction with the R292. When you get to the next crossroads turn left. Go for 1 kilometre until you get to the car park. The walk up the mountain is a 4 kilometre climb. Include the Neolithic site of Carrowkeel in your plans. The two sites are related. The openings of the tombs at Carrowkeel are directed towards Carrowmore. At Carrowkeel, you will be rewarded with beautiful views and a visit to a very special site with a lovely feel, a real treasure. The visit to Carrowkeel is free. It is located near Castlebaldwin on the N4. 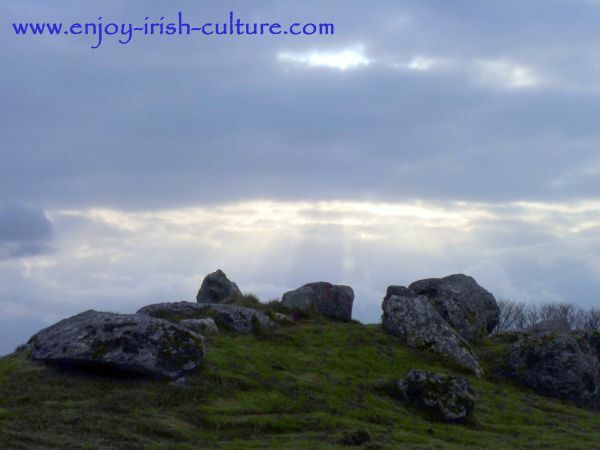 Hope you enjoyed our page on Carrowmore. If you like what we do on this website, please tell all your friends, so that they may find us, too. Find some handy social buttons both at the top left and at the very bottom. Thanks a million for supporting us. Until we meet again!